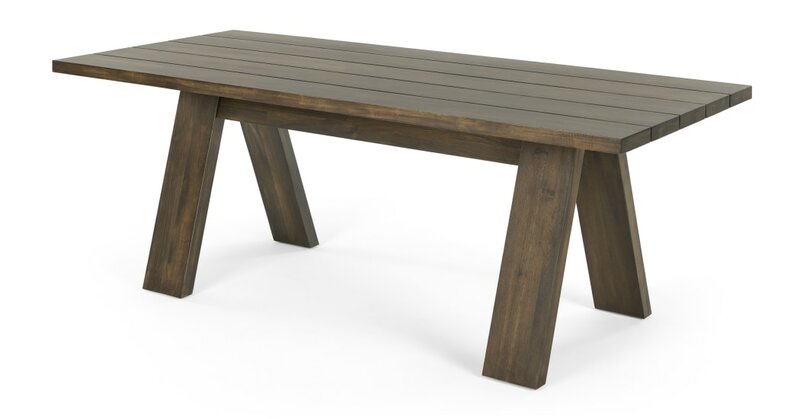 Dine in, in style: this sturdy dining table is designed to be paired with a bench, for a relaxed but sleek eating experience. With unusual A-frame legs, it cuts a bold shape. Warm tones, from sturdy acacia wood, are fitting for Telmo. Spend cosy evenings with 7 of your closest enjoying a slow dinner – this table's matching bench seats 8.